The Vacaville Animal Care Center team of skilled veterinarians welcomes you to our practice, proudly serving the Vacaville area. At Vacaville Animal Care Center, it is our daily privilege to provide quality vet care to your cherished pet, with compassion and competence. We hope to ensure a positive impact on our patients, pet owners and the local community. Dr. Lee received her Bachelor of Biology from the University of the Pacific in 1980 and her Doctor of Veterinary Medicine in 1992. 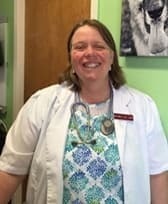 She has been working in small animal medicine for 23 years! Dr. Lee believes that every patient and client is unique and special. She likes to work as a team with the owner and patient to provide the best medicine and is looking forward to getting to know all our clients and patients. Dr. Behnke inserts a fresh viewpoint and a youthful verve. A UC Davis graduate, Amber joined ACC in 2006 and holds a special interest in exotic small mammals. Originally from the walnut country of Northern California, Dr. Behnke has lived all over the world, and we are lucky to have her at ACC. 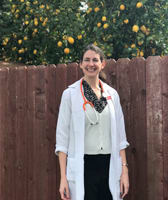 Dr. Garberson knew she wanted to be a veterinarian in middle school when decided she wanted to combine her love for animals with her desire to learn as much as she could about medicine and physiology. One of her favorite activities in high school was going running with her dog, Bailey. Dr. Garberson attended UC Davis to obtain her Bachelor's of Science degree in Animal Science. She went on to attend the UC Davis School of Veterinary Medicine to earn her Doctorate of Veterinary Medicine. 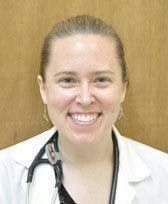 In 2012 Dr. Garberson joined the team at Vacaville Animal Care Center. Her passions are canine and feline preventative medicine, client education, and student outreach. When not in the clinic, Dr. Garberson enjoys spending family time with her husband, Tom, her daughters, Charlotte and Ashley, her dog, Ivy, and her cat, Robin. She also likes to read, travel, and play fantasy football.